Today the Zooniverse launched Whale FM a new project in partnership with Scientific American. We have been working with marine biologists and have collected together more than 16,000 recordings of Whale calls. These calls come from Killer Whales and Pilot Whales – both actually species of dolphin! – and we need your help with listening to them. Whales can talk to each other in quite sophisticated ways. 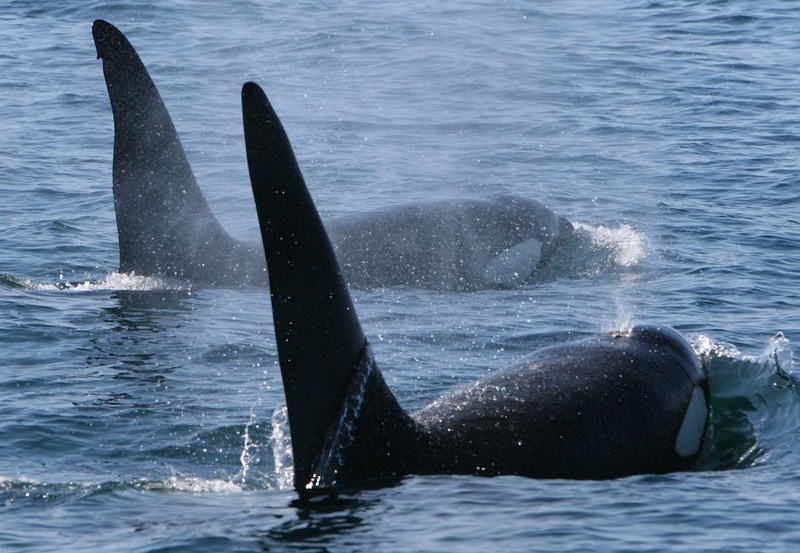 For example, each family of Killer Whales has its own dialect and closely-related families share calls. We know this because biologists have begun to categorize the complex calls of Killer Whales and to try and understand what they mean. We are attempting to decipher even more of these Killer Whale ‘words’ and are also throwing in several thousand Pilot Whales calls too. To join in you just visit whale.fm and listen to the large, main call. An array of computer-identified, smaller calls are shown and you have to pick the one that sound most like it. By pairing up all the best-matches we hope to begin to create a web of similar sounds and see the web of ‘words’ these whales are using to communicate. Whales and dolphins have very sophisticated hearing sensory organs and can produce loud sounds that they use for communication, orientation and foraging under water. Biologists can listen to the sounds that whales and dolphins produce by putting microphones under water (so-called ‘hydrophones’). Many of the calls that you will encounter on this site have been recorded from animals that were tagged using ‘D-Tags’. These are non-invasive tags that are attached to the whales using suction-cups, which eventually fall off. They also allow us to use GPS to track the Whales as they move around. Don’t forget you can ask questions and make comments on out Whale Talk site and also find us on Twitter and Facebook.